Ciara flopped big time last year when her third album ‘Fantasy Ride’ failed to make a big impact on the charts. Even with three singles (one of which was a top 10 hit) the album fell off the Billboard 200 faster than it arrived. So Ciara went back into studio to record her fourth album in hope of regaining popularity and success. 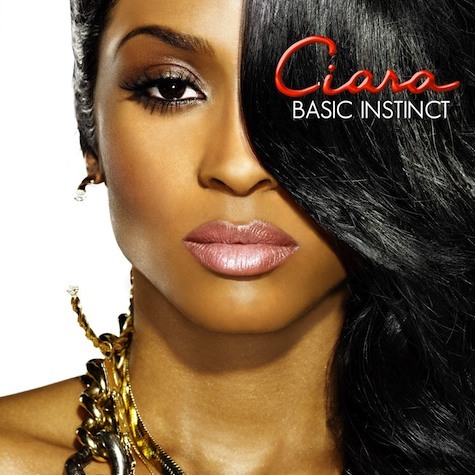 ‘Basic Instinct’ is scheduled to be released in October and is seeking to bring Ciara back to her roots. First single ‘Ride’ has proven to be a success, reaching the top 5 on the R&B charts and 42 on the Billboard Top 100. Things are starting to look up for Ciara, and if she can release a solid second single this album should bring her back to the top. Luckily Ciara’s second single is so good that it has the potential of becoming her fourth top 5 hit. ‘Gimme Dat’ has a heart-pounding beat that is sure to set radios and dance floors ablaze. Ciara is returning to the days where her music was made specifically for dancing. Hands down, Ciara is the best dancer of any performer out right now. It is brilliant for her to release a song where she could showcase her talent even more. The beat is so fast that it is hard to imagine what the video for the song will look like, but that’s where the appeal of the song lies; the beat. With its thumping bass and high-speed synths it’s impossible to listen to the song without moving. It’s the perfect song to end the summer. Ciara’s voice works perfectly with the track because it showcases what she can do vocally. Her voice is weak to say the least, but she knows what she can and can’t do, which makes it work. Her attitude and confidence are strong on the track, making it a solid listen. The song is also a good statement of where Ciara is at in her career. She has to ‘bring it back’ (it being her music), in order to return as one of the top contenders in music. I don’t see any reason why she can’t return to where she once was. With the proper promotion I can foresee the song being a big hit for Ciara. With the surprising success of ‘Ride’ Ciara has established an honest interest back from the US audience. ‘Gimme Dat’ will just win them over. With a proper video and high profile performances the song could potentially become the anthem to the end of the summer. Lets hope that Ciara’s team puts the proper time and energy into this project to make ‘Basic Instinct’ the best possible album it can be. 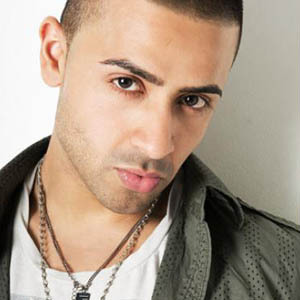 Jay Sean saw some high profile success with his debut single ‘Down’ last year. The song is still getting a good amount of radio play even though it’s over a year old, which is pretty impressive. His album didn’t see the same success, but he gained enough popularity to receive the green light on album number 2. ‘2012’ is the first single from his second American album due out later this year. The song features his Young Money label mate Nicki Minaj, who seems to be featured on everyone’s song lately. It is evident that Jay wants the same success in America as he has had overseas. ‘Down’ got him off to a good start but ‘2012’ takes him back two steps. The American audience is a weird one because we are so unpredictable. If music like Soulja Boy can become so popular one would think that Americans would listen to anything, but that is not the case. I don’t know what the ‘it’ factor is for Americans, but I do know that it will make or break a song and sadly ‘2012’ doesn’t have ‘it’. The concept to the song is so bad that I’m surprised anyone would think it was a good idea to release it. Some party songs work-look at ‘Dynamite’ by Taio Cruz. ‘2012’ seems like it’s trying to hard, and the lyrics contradict themselves. The chorus starts by saying, “We’re gonna part like, like it’s the end of the world” and then ends with “It’s not the end of the world”. The whole premise of the song was weak to begin with; so contradicting lyrics only lessen the appeal to the song. Surprisingly Nicki doesn’t hit a homerun with this song. There are no weird voices or personality to this feature. It’s not that I think she did a bad job, it’s the fact that I know Jay just put her on the song for sales. Look at Nicki’s feature in ‘Bottoms Up’; she fit the theme of the song perfectly, while giving a stellar performance. A song feature is meant to enhance the song to make the song a collaboration between the two artist. It should be done as a work of art rather than a sales gimmick. I don’t see the song being a success. Even with Nicki’s feature the song still lacks tremendously. I see it hitting the top 40, but nothing more than that. I honestly would have expected more from him and especially Nicki, but every artist experience a few blunders in their career. So lets dust this one off and move to the next one. After six weeks of owning the Billboard Top 100 Katy Perry’s song, ‘California Gurls’, has officially been knocked from the penthouse! Eminem’s ‘Love The Way You Lie’, featuring Rihanna, becomes the number 1 song is the country after being number 1 on itunes for the last two weeks. With the song gaining radio impressions each week, and selling over 300,000 on itunes it looks as if this is just the beginning for the song’s reign. The songs victory is not only big for Rihanna and Eminem, but also producer Alex Da Kid, who can now say he has a number 1 song to his name. This makes him even more desirable for other artists. This becomes Eminems fourth number 1 song to date. It was only a few weeks ago that ‘Not Afraid’ was number 1 for one week and a little over a year ago ‘Crack A Bottle’ hit number 1 for one week. His 2002 hit, ‘Lose Yourself’, was number 1 for 12 weeks, becoming his most successful song to date. ‘Recovery’ is the only one of Eminem’s albums to contain two number 1 songs. It’s easy to say that Eminem is back and better than ever. With no end in sight I am curious to see how long the song will stay number 1; I’ll assume 8 weeks. Rihanna is the one who should really be cheering the most tonight because this further cements her as one of music’s leading forces. Since appearing on the Billboard Hot 100 in 2005 Rihanna has massed a total of 7 number 1 songs, five of which she is the leading artist. She has the most number 1 songs of any female since 2000. Next in line is Beyonce with 5. Up until this March Rihanna and Beyonce were tied for most number 1’s. Its important for Rihanna to have a good lead if she expects to keep the coveted title, and in my opinion it will be hard for Beyonce to catch up with Rihanna dropping a new album towards the end of the year. The song also entered the top ten pop chart this week as well, which adds an even bigger feat to Rihannas name. She now has 15 top ten hits thus passing Madonna who has 14. She is only two behind the Mariah Carey, who has the most top 10 hits of all time with 17. In a mere 5 years Rihanna has surpassed Madonna whose career expands over 20 years. This is amazing. I’m sure that she will beat Mariah within the next year or two. This news should really put to rest any rumors about Rihannas staying power because she is obviously going to be around a long time. Bruno Mars has been pretty fortunate this past year with all the success he has seen as a feature artist. He has had two top ten hits to his name without even releasing his debut single yet. 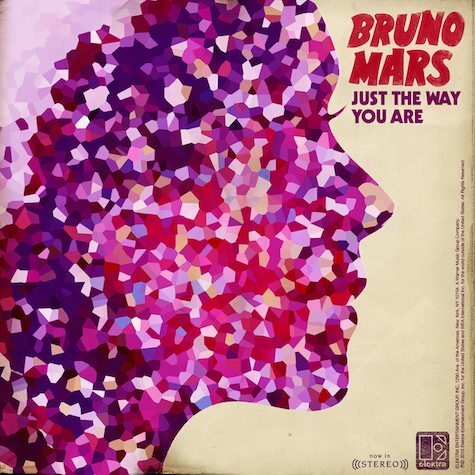 ‘Just The Way You Are’ is the first official single from his debut album due out later this year. It’s evident that his team planned to drop the single just as his featured song, ‘Billionaire’, began to fizzle out. With the right promo the song could do wonders on the radio and possibly solidify Bruno’s spot in the industry. Bruno’s strong point is his voice, which is impeccable. It is impossible for someone to listen to him without recognizing his vocal talent. ‘Just The Way You Are’ perfectly showcases his voice without going over the top. He has a lot of soul when he sings and this is key to engaging the audience. He blends into the beat perfect during the introduction of the song, starting it off perfectly. There has been a lack of male vocalist lately so Bruno could potentially lead the pack if he continues to release singles that show all of his sides vocally. The song itself is good, but I would hardly say that is amazing. The lyrics are too cheesy, but the piano lead beat is a good listen. The song was produced by Bruno’s production team, which showcases his talents even further. Most artist are not able to have creative control over their first few albums, so Bruno should be thankful that he has the opportunity to write his own music and have it released. The song should be a hit on the pop charts. I think that it doesn’t have enough soul to be on the R&B stations, which will condense his fan base but he will get by just fine. I’m anxious to hear what his album will sound like. I am hoping that he will blend a mix of genres on his album, which would make sense since all of the songs we have heard him in are different. Hopefully the song will start gaining some buzz and the top 40 radio stations will pick it up soon. Ok so here is my idea. A lot of time people are a fan of someone but don’t know specifics about them; how many top ten singles, number 1 albums, ect. So my idea is to explore the career path’s of certain artist, but I only want to do those you the readers are interested in. This is idea is two fold though because I want more interaction on the blog as well. So, I want you guys to write an artist in the comments section of this post. Write someone that you actually want to know about, and even ask a specific question about their career if you want. This will not only inform you about someone you love to listen too, but it will actually get some interaction on the blog which is great!! Always feel free to comment on each post. I’d love to know if you agree or disagree! Ill try my hardest to post everyday but if I work more 15 hour days that will be hard! hope you guys enjoy reading as much as I enjoy writing. Trey Songz had a pretty good year, both chart and sales wise, and he is doing the smartest thing by releasing a new album only one year after his gold album ‘Ready’. ‘Bottoms Up’ is the first official single from Trey’s fourth album dropping in September. The song is nowhere near as good as his current single ‘Already Taken’, which is currently doing decently well on the R&B charts. This is a big moment in Trey’s career because of the popularity he has gained. He can either build on that with this new album or fizzle out. Everything during this era must be perfectly executed or it could end badly. Generally an artist grows and expands with every album that they do. In my opinion this song is just ‘Say Aah’ part 2, which may not be bad since it was his first top ten single. Still, I wish I could see some growth from Trey. I know he is trying to capitalize on the songs that have made him famous, but you can only make so many party anthems before it gets old. The song itself has a jagged sound to it. The chorus is choppy, but not in a bad way. The song makes me think of a hip-hop marching band. As always Trey’s voice is on point. Some of the lyrics are borderline corny to say the least (“I could be you alcohol hero”), but Trey somehow makes it work. The songs shining moment is Nicki Minaj though. I am impressed on how Nicki reinvents herself in every feature that she does. A lot of people judge her too harshly and do not give her the credit that she deserves. She dares to go beyond the expectations of a female rapper by adding her own twist of voices and accents to every verse she does. It may come off as weird but that’s the point. I just think it’s refreshing to have someone so interesting to listen to in rap again. I am not implying that she is the best rapper, but no one can come close her originality concerning her delivery. Trey’s smartest move was adding her on the track. Overall I think the song will do fairly well, considering that both Trey and Nicki are rising stars only becoming more popular each day. I would not be surprised to see this song hit the top ten. I do wonder about the fate of Trey’s album though. If it is going to be filled with the same songs as ‘Ready’ he could be in trouble gaining creditability. Either way the song is an interesting listen to say the least so check it out! A few weeks ago I questioned the current state of the music industry right before Drakes album came out, anticipating that it would changes the sales trend of the year thus far. I knew that Eminem would sell well, but I was convinced that Drake would out-sell him due to strong anticipation for his album. 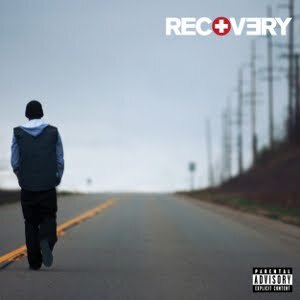 Little did I know that Eminem’s ‘Recovery’ would not only have the biggest opening of the year, but that it would become one of the years top selling albums in less than one month of release. To date, ‘Recovery’ has sold 1.3 million copies. I really cannot believe the success that he has achieved, considering he does not hold the same social presence as he did in the early 2000’s. He has stayed at number 1 for the last three weeks now, which means that ‘Recovery’ is the first albums since Sade’s ‘Solider of Love’ to be number 1 for three weeks in a row. According to Hits Daily Double he is on track for his fourth week at number 1, which would make him the first artist to hold the number 1 spot in Susan Boyle in 2009. On top of this all his song ‘Love The Way You Live’ featuring Rihanna is sitting at number 2 on the Billboard charts and is on track to be his next number 1 song. This is not only a big feat for Eminem, but also the music industry as a whole. Since the debut of the itunes store and illegal downloading the sales of albums have been on a steady decline, while the sales of singles continue to skyrocket. Your probably wondering why this is so bad because artist and record labels still receive profits from the singles; this is true but the problem is that the label, artist, songwriter, producer and distributor all have to split the mere $1.29 it cost to download a song. Compare that to the $9.99 that is cost to buy an album and you can see where the problem lies. Eminem is proving that strong album sales are still a possibility. For whatever reason Eminem still has the “it” factor, and that is the reason he is selling so well. The right song and the right promotion go a long way. With the state that the music industry is in, more artists need to step their game up. It is a shame that a successful album today only needs to sell 500,000. Where are the days where artist sold 2 million in two months? The industry is dying, but it is not dead. If more albums sell like ‘Recovery’ than the industry can land on its feet again. I have hope, but I think it is going to take a lot longer than I wish it would. Congratulations to Eminem, and thank you for helping save this year in music. I know that I really dropped the ball last month but I did that on purpose. I just needed to take a break from life and relax for a little while (running your own blog is hard work). That being said, I am ready to pick the ball up and do some serious work to make up for lost time. The influx of new songs has been light these past few weeks, so maybe it was right for me to take a break. I am so thankful for those of you who have been faithful readers because I have received over 250 hits even though the blog has not been updated since June 16th! That proved to be that I have some real followers, so I promise to make it up to you guys! Thanks again and remember to keep checking everyday like you have been doing.